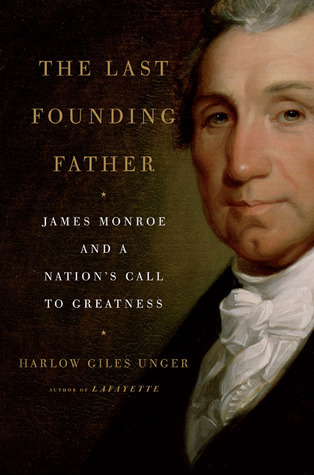 “The Last Founding Father: James Monroe and a Nation’s Call to Greatness” is one of the most recent of author Harlow Unger‘s nearly two dozen books. He is a former journalist, broadcaster and professor and has written biographies of John Quincy Adams, Patrick Henry, Lafayette and George Washington, among many others. Unger’s biography of Monroe is, on a basic level, extremely readable and entertaining, but excessively opinionated and needlessly provocative. In contrast to Harry Ammon’s “James Monroe” (where the author seems reluctant to stray from the facts and offer his own opinions) Unger’s praise is consistent and one-sided. The reader almost begins to wonder if Monroe himself has been reincarnated as Harlow Unger. To its credit “The Last Founding Father: James Monroe” manages to animate the fifth president in a way that Ammon was unable in his lengthier biography. And in many ways, Unger describes what seems the classic American success story: a person born into modest circumstances and without the benefit of tremendous intellectual gifts who, nonetheless, rose above his early station in life to become a strong leader and successful politician. Though Monroe was not a strategic thinker (like Madison) or naturally charming (like Jefferson), Unger describes him as hard working, keenly observant, highly aspirational and personally affable. But he was often quite thin-skinned and usually seemed a step behind others in the the crowd he followed (which notably included James Madison). Nonetheless, he was unfailingly indefatigable and possessed enough “street smarts” to allow him to eventually succeed where other equally ambitious politicians fell short. The author does a nice job abbreviating many years of history into a rather compact book, and non-historians will find Monroe’s pre-presidential years neatly summarized in a way that is easy to understand. Indeed, the years leading up to Monroe’s presidency account for nearly three-quarters of the book while his two terms in office take up a fairly small portion of the text. And if not for the author’s persistent bias, this would have proven one of the better of the shorter biographies of the early presidents. But it is not only unfailing praise of Monroe that afflicts this biography; the author also proves excessively defensive on several occasions, rushing to shield Monroe (and even his wife) from criticism of nearly any sort. Unger blasts the notion that John Quincy Adams had anything to do with the Monroe Doctrine, he howls at critiques of Mrs. Monroe by her contemporaries (mainly relating to her ostentatious attire and stuffy receptions) and ignores fatal flaws in the Monroe-Pinkney Treaty which led Jefferson to reject it. Fortunately, most of the author’s favoritism is obvious enough that it does not seriously detract from the reader’s experience. Many of his more dramatic statements are so broadly sweeping and seemingly shallow that they merely add levity to the biography (probably unintentionally). On the other hand, if they are serious observations, they deserve additional evidence and should be edited to resemble groundbreaking revelations rather than punchy, provocative one-liners. Overall, Harlow Unger’s biography of James Monroe was an easy, entertaining and enjoyable read. It does not suffer from a tendency toward unnecessary detail or weighty academic prose devoid of historical context – maladies which negatively impact a significant number of other presidential biographies. But it is too unbalanced to be taken as seriously as it might otherwise deserve. Monroe is a president who seems due more credit and notoriety than he receives, but this biography went too far in staking that claim. For entertainment value, Unger’s biography of Monroe deserves close to 5 stars. For unbiased enlightenment and scholarship, it merits perhaps 2½ stars. Monroe is sometimes (but not universally) considered to be one of the Founding Fathers. When he’s included on that list, he is one of its youngest members – and the last to have been president. In my view the author was being generous; I personally consider James Madison the last Founding Father to also be president. I tend to think of James Madison of the last Founding Father since he was the last one to die (I think). Although Monroe’s presidency followed Madison, I think it’s a bit of stretch to call him “The Last Founding Father.” I would give him the benefit of the doubt and classify Monroe as a founding father. 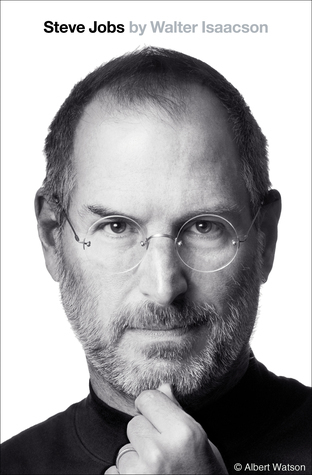 Overall, I enjoyed this biography. I am glad to I read your review prior to reading though to be prepared for the overall favoritism that the author shows Monroe. Usually, I expect the author to show somewhat a bias towards their subject, as they spend so much time investing into the particular person and trying to find their character and their side of the the story. A good example of this is the way McCullough approaches John Adams with the Alien and Sedition Acts. He does not try to explain away or ignore the issue, but simply states the facts as they were, and then try to reason perhaps why Adams felt the action was necessary–without over defending the controversial action. However, I think Unger goes to the extreme with James Monroe, to the point that Monroe never appeared to do any wrong. He undermines JQA’s role in the Monroe Doctrine, to the point that I don’t know that I can trust his conclusion that he was not the principal author (to Unger’s point, most historians claim his authorship). Again, however, overall this was a very enjoyable read, and I felt like a came out of it with a much better understanding of James Monroe and the events surrounding his life. Unger does a fantastic job of putting context and perspective around his life, and I gained a much better perspective on the War of 1812 than I did from reading on James Madison. I would recommend this book as a good biography on James Monroe, but to read with caution. It will be interesting to see how Unger treats JQA in my next read, starting…now! I agree with your perspective almost completely; I can’t wait to see what you think of his biography of John Quincy…! I just started reading this bio on my own presidential biography quest, and the praise was laid on so thick in the intro that I wasn’t sure I’d be able to go on. Unger basically claims Washington, Adams, Jefferson, and Madison barely did enough to keep the lights on in America — eventually bankrupting it — and that Monroe alone fixed everything. Your review here is encouraging. I can handle some bias if the rest of the book is entertaining and informative. Again, your reviews are invaluable to me and I thoroughly enjoy your writing! Rather than pushing me away from the book, Unger’s fawning (maybe obsequious) praise for Monroe made the biography more interesting…but also led to me not taking it as seriously. Although I didn’t award Unger’s bio “the best biography of James Monroe” I did give it the label of “most entertaining”…! It was still an entertaining and informative book, but it’s hard to trust. This was a quick read. I absolutely agree with your review. I already finished it over the weekend and I only enjoyed it because I definitely needed a quick read after the Madison’s biography. The author was hilariously biased, and it showed throughout the book. I really wonder how much was even true after reading it. Now off to John Quincy Adams hoping to have him finished by the mid to end of April to get started on the trilogy for Andrew Jackson. Unger seems to be the king of mediocrity. He spits out bios every year or so. From the reviews, they all seem “ok” but there are always much better ones out there. Curious as to how Monroe’s time in France comes off. His representation of the US during the Washington administration seems to border on treason.